A HUMAN skeleton which dates back between 200 and 400 years has been found during building work at a Bromsgrove vets surgery. 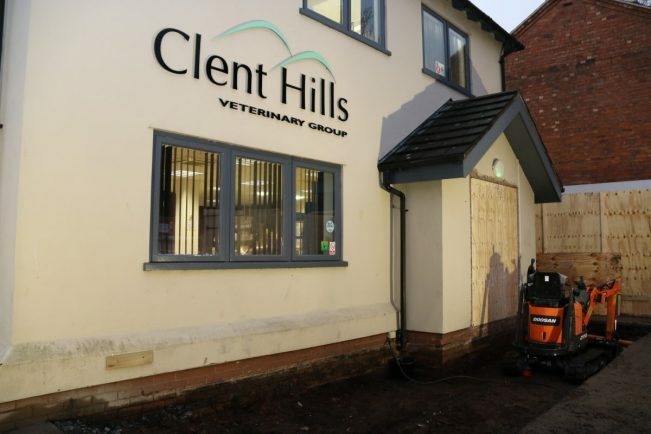 The discovery was made at Clent Hills Vets, Kidderminster Road, last Thursday as the builders were digging to lay the footings for the practice’s extension. The police were called and forensic examiners were brought in but, because of the age of the remains, officers decided it was not appropriate to carry out a criminal investigation. After examining the bones an archaeologist contacted by Clent Hills Vets said he thought the skeleton dated back to between 1620 and 1800. There was speculation the body, which was laid in a purpose-dug trench, could have been in land which was part of St John’s Church on the other side of the road. But the archaeologist said he felt it was too far away from the historic building and would more likely have been a non-conformist burial. The broad shoulders of the figure suggested the body was male and other indications pointed to him possibly being a Quaker. Buried with the man was a pot, estimated to be from medieval times, which is thought to have been passed down through generations. Because the law states bodies cannot be exhumed without a licence, it was decided to leave the skeleton where it was and re-cover it. Any possessions, like the pot in this case, can also not be removed. 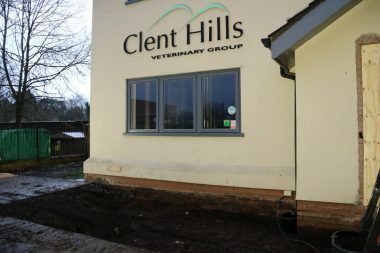 The vets’ practice has worked with the architect to change the structure of the extension so it would be lighter and the footings would not need to be as deep. Staff intend to place a plaque at the site to recognise the find, although the wording for it has not yet been decided. Bromsgrove historian Jenny Townshend said: “Where Clent Hills Vets is now was a Quaker burial ground with the meeting house behind it. By the 1880s it was used as a carpenters’ workshop and timber yard.